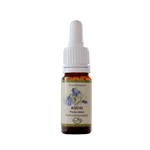 Finnish Flower Essences - Natural way to emotional well-being. This Finnish Flower Remedy purifies and increases the life force flow. This Finnish Flower Remedy helps understanding the whole and letting go of the past. This Finnish Flower Remedy helps to reinforce, to focus and to feel empowered. This Finnish Flower Remedy brings faith and emotional balance. This Finnish Flower Remedy encourages the shy promotes social interaction. 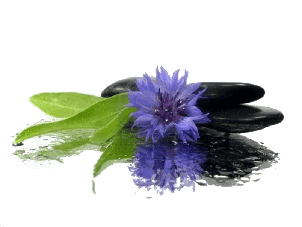 This Finnish Flower Remedy helps to be more decisive and clarifies goals. 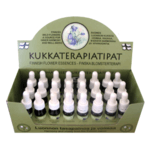 Set containing the 24 Finnish Flower Remedies, in 10ml bottles. Ideal as a starter kit, allows you to create synergies with multiple flowers. This Finnish Flower Remedy helps to deal with the emotions associated with expectations. This Finnish Flower Remedy improves self-esteem and inner contentment. This Finnish Flower Remedy helps opening emotional locks. This Finnish Flower Remedy helps liberating from problems, fears and addictions. This Finnish Flower Remedy helps finding mental and emotional balance. This Finnish Flower Remedy promotes openness and lightness of the heart. This Finnish Flower Remedy brings vitality and earthly strength to all levels of life. This Finnish Flower Remedy brings determination and self-confidence. 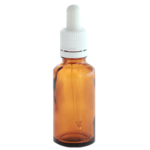 Empty pipette bottle for the creation of flower remedy combinations. This Finnish Flower Remedy lightens the burdens of the mind. This Finnish Flower Remedy helps improving and deepening relationships. This Finnish Flower Remedy purifies, revitalizes and reinforces immunity. This Finnish Flower Remedy enables self-expression, sense of humor and activates creativity.